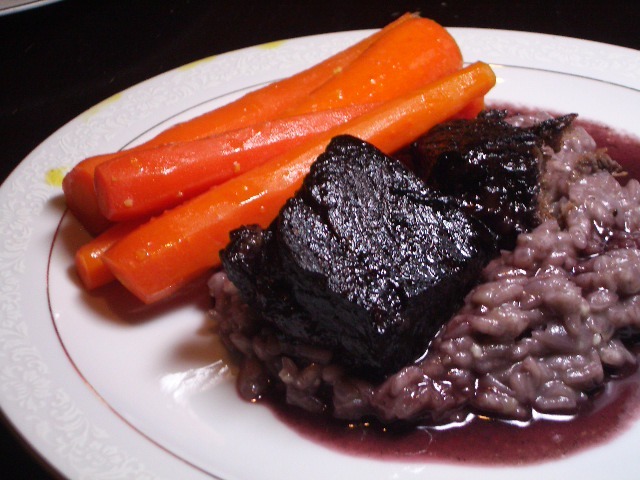 This is Tom Colicchio’s recipe for braised short-ribs from Food and Wine. We adapted it to our serving size, but the directions are the same. You can find the original here.